Traditionally an afterthought for buy-side traders, FX trading is starting to become more front of mind, evidenced by greater innovation and evolution of trading tools designed specifically for the asset class. 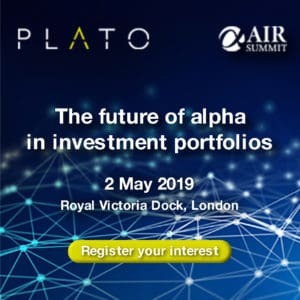 I didn't think FX was a serious source of alpha for institutional investors, so surely it’s at the back of the queue for IT spend? Unlike most other asset classes, greater investment in FX capabilities is largely being led by an evolution in trading and execution dynamics, rather than sweeping regulatory changes. But you’re right, FX trading has traditionally been an afterthought for most buy-side traders who typically use it to hedge the currency risk associated with stock and bond transactions. This meant measuring the execution quality of FX trades has not been front of mind on institutional trading desks. That was until custodians including State Street and BNY Mellon were alleged to have overcharged asset owners and money managers on their FX trades to the tune of millions of dollars. Both these firms have since committed to providing more transparency on FX trading fees, while the buy-side begun to take more notice of how its FX trades are handled. Though not a priority for the buy-side, FX has been a highly automated market for many years. In recent times, an increasing number of high-frequency trading (HFT) firms have looked to profit from arbitrage opportunities. There has also been a greater adoption of broker-provided execution algorithms by the buy-side. A May study from consultancy Aite Group estimated that 40% of spot FX volumes now come from high-frequency strategies, although much of this was thought to come from banks’ internal desks, rather than pure proprietary trading firms. How have these trends affected the tools on offer to the buy-side? Unsurprisingly, in the wake of the overcharging scandals, the buy-side has upped its use of transaction cost analysis for currency trades, with TradingScreen, ITG and Abel/Noser all releasing products in recent months. Brokers and other vendors have also realigned their offerings to better cope with increasing levels of electronic trading. Last week Deutsche Bank overhauled its Autobahn FX platform to give the buy-side more control over manual and electronic executions. Meanwhile, Thomson Reuters recently finalised its purchase of multibank trading platform FXall, adding new execution options for the firm’s existing buy-side clients. All of these developments will help the buy-side to be more cost-effective FX market participants, taking more care to execute currency trades at the most optimal time, rather than handing them over to custodians or waiting for the fixed FX rates published at 16.00 everyday, which can carry market risk. What impact has HFT had on liquidity in the FX market? A paper from the Bank for International Settlements last year noted that HFT in the FX market had led to tighter spreads and enhanced liquidity. “[HFT] firms are efficient in mobilising liquidity around the system and between different venues, which is important in a fragmented marketplace,” read the paper. As well as single dealer platforms, multi-dealer platforms including FXall, Hotspot FX and Currenex also offer FX execution options. But as always, where there is HFT there is controversy. Similar to equities, continued automation piles downward pressure on the value of trades. The BIS paper also noted HFT in FX had led to fleeting orders that can give a false impression of liquidity and be detrimental to those participants that want to execute quickly and in size. How have FX market participants responded to HFT growth? The HFT backlash in FX has already begun. EBS, the FX trading platform operated by ICAP, recently adjusted its rules to make it less favourable for high-speed trading strategies that probe the market for indications of liquidity and price and said it would monitor order-to-trade ratios. 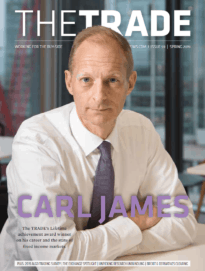 Interdealer broker Tradition launched TraFXpure at the start of June, which seeks to create a level playing field among market participants by reducing technological advantages. Such developments suggest that the buy-side are changing tact when it comes to FX trading, with previous arrangements for trading FX shown to be flawed. Market participants are also seemingly keen to avoid the same HFT debate that has lingered in equities by taking action to protect the quality of liquidity.